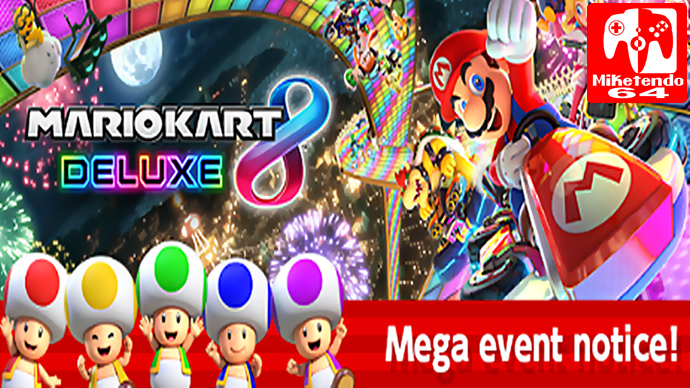 After first being revealed two days ago, the Mario Kart 8 Deluxe Release Mega Event has begun and the Deluxe prizes are everything we thought they would be! From today until o8:59 CEST on the 11th of May, players all across the globe will have to work together if we all wish to earn every Deluxe building going since collectively we’ll have to play the Toad Rally 10 million times just to get the first of 2 Banana Statues. (20 million will get us the second one.) Whereas the rarest and hardest building to acquire is the Nintendo Switch Statue as it requires a total of 50 million World Rally plays and on the off chance we do pull it off, all Deluxe gifts will be sent out on the 12th of May at 09:00 CEST, along with the results. With nearly 150 million gamers across the globe who downloaded Super Mario Run, as long as 1 in 3 plays Toad Rally once, we’ll stand a good chance of getting the Switch Statue.